But this post is not about the justice or injustice of the university’s response, and it’s not primarily about whether or not Professor Boghossian has a good point to make. Much could be said about either of those issues, but my point here is a more general one — about the way these discussions often proceed in the popular media (even among academics), and the conclusions that more casual readers, who don’t follow the minutiae of these debates, are likely to draw from articles like Mr Kimball’s. Now I get the point about the picayunity (is that a word?) which some postmodern academic discussions seem to promote. Theoretical discussions often require technical vocabulary that a non-specialist doesn’t get. Sometimes they invent words altogether! And, by the way, I think it’s interesting to see conservatives take up the tactics that made for social action in an earlier era (I’m thinking of the performative sarcasm of groups like “Act-Up” in the 1980s). However, I’m not clear what the entire point of Boghossian’s arch gibe really is. True, it’s obviously meant (in part) to show that editorial referees are not always up to performing the rigorous scrutiny they should, and that’s a real concern. But (here’s my point) that’s not the only takeaway a wider audience is likely to draw, at least from Mr Kimball’s own piece. What’s his point? Is Mr Kimball suggesting that we should be spending more of our academic time on more productive discussions? (I think that’s probably right.) Or is he saying there is nothing of any value to the kinds of research the spoof is caricaturing? That is what Kimball seems to be saying, and that I think is questionable. The general public probably is not very well attuned to this difference. To caricature an entire research program as nonsense is one thing, to caricature it as untimely is something else. Not every academic pursuit (even every promising and interesing pursuit) is timely, given other social demands that call on our resources. (Shouldn’t academia be spending more of its precious resources on a discussion of global warming, far more widely than we do? I suspect that future generations will wonder what the *#@%#* we were thinking….) This is a difficult call, of course, and no promising researcher is going to give up an interesting research angle just to be socially relevant. 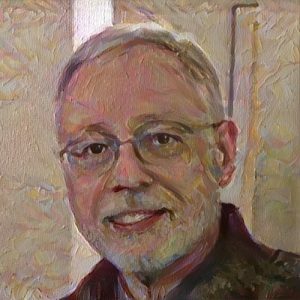 But there are broader curricular and social questions at stake in allocating university resources, and if that was the point of this stunt – to say that we need to figure out how to make our curriculum a lot more relevant and ecumenical — that’s fine with me. But was this the point Mr Kimball was making? Or was he (and was Boghossian) engaged in a rather cavalier dismissal of those colleagues’ academic interests? Was Boghossian engaging in bad faith when he appears to have broken trust with those who are attempting, however imperfectly, to make a serious contribution to scholarship? I don’t know the answer to that, but I do believe that there is really nothing “absurd” about the general kind of theory many postmodernists want to propose. There is nothing absurd with the idea that “Glaciers, Gender and Science” – echoing the title of one of the spoofy papers — might have something important in common, especially assuming that some global warming skeptics are blindly following a rapacious dominion theory of earthly stewardship. Certainly some feminists are more deeply sensitive to this fact than those skeptics are. I haven’t read that particular paper, but I do know that at least some feminists would want to make that point, and I can’t say I disagree. Now, I said I wasn’t going to try to decide the issue of Boghossian’s deeper intentions, and I won’t. But certainly one of the glories of academic life is the privilege of following the sound of one’s own drummer, and one of its hallmarks should be respect for other drummers of other people. And right now I can hear my exhilarated conservative friends pouncing: “Exactly!” So yes, the Left has not always been very attentive to this (to say the least), and now, often, the Right is following suit. Here, with Boghossian’s little stunt, we might have an example of that same dismissive attitude (and we certainly do in the Post’s coverage). And so the dysfunctional syndrome continues. So here’s what I think. Despite the stentorian proclamation in the Post article’s title, what we really have here is much more a conflict of values, and much less an absurdity committed by one side and a heroic intervention on the other. A little fun is fine, perhaps, but in the long run, shouldn’t we be debating how to prioritize the aims of education, rather than disparaging the sincere efforts of our colleagues? And, yes, (I hear ya) both sides should be very concerned about this, and it’s up to both side to take up this challenge…. One day, hopefully, the academic and political climate will change. In the meantime, what about each of us? Maybe we should be fanning a little more cool air onto the hot fields of battle, and maybe the first step is just to calm down. All of us. Now, what do make of this? A feminist would no doubt remark on the lack of an indefinite grammatical article in that last nominative pair. A tiny quibble, perhaps. But really. This is a guy we consult for guidance on the intellecutal value of all of postmodernism? The 90’s publication itself was banned in New South Wales, apparently — see the link at http://wmbriggs.com/post/17124/ — and personally I’m not usually comfortable with banning even odious expressions of opinion, especially when supported by arguments. But that’s not the point. The point is: How should we react to such an assessment of the “intellectual content” (of leftist theories) offered by someone with such a view of the “intellectual capacity” (of women)? And what is the social consequence of not taking this question seriously? We can see what it is just by watching the evening news. This isn’t a conclusive argument I’m about to offer here: but it is a caution. And I’m not offering it only as a complaint towards conservatives. But here, read Stove’s article and notice how it takes the empirical findings, drawn from humanity’s social past, as a definitive predictor of what our present circumstances portend. It’s as if social history doesn’t even happen. It’s as if there were no environmental impact on the expression of genes at all. And it’s all based on a concept (“intellectual capacity”) that he doesn’t even bother to define. But then….sometimes the arc of history bends towards its own sarcastic pronouncements. For not too long after this article was published, a brash new research program emerged, under the banner of “emotional intelligence,” and the very term “intelligence” now encompasses a multiplicity of expressions besides I.Q. So much for Stove’s reductive inductivism. It would not be hard for feminist-friendly critics to uncover a “misogynistic” political agenda in Stove’s work — and would they be wrong? Stove missed the boat on this, and one wonders if this weren’t partly because he lacked some emotional intelligence himself. Certainly he failed to see not only that “intelligence” is a term with varied expressions, but a value-laden and not strictly empirical concept anyway. Admittedly, his was the dominant paradigm back then and he can hardly be faulted for the state of genetics in the late 80’s. But it’s also the paradigm that informs his dismissive pronouncement on “those” postmodernists. Is this really the kind of commentator we want to be drawung wisdom from, especially on those very same topics? These are difficult, complicated discussions. Let’s really do our homework, and not take short cuts. Would that those in high places could hear! Having said all this, however, I do think it’s fortunate that this article was posted. I never would have read it otherwise, and so: Warm thanks to my colleague for caring enough to get us all involved! 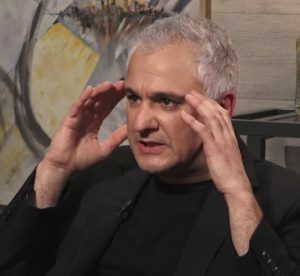 Isn’t Boghossian being subjected to disciplinary action because he allegedly violated ethical guidelines for treatment of “human [research] subjects”? Didn’t the same thing happen to Socrates for the way he spoke to Euthyphro?